Villa Toca is an architecturally prestigious home, with sumptuous, sultry interiors, finished with panache and sleek, minimal style, nestled S'Argamassa area. 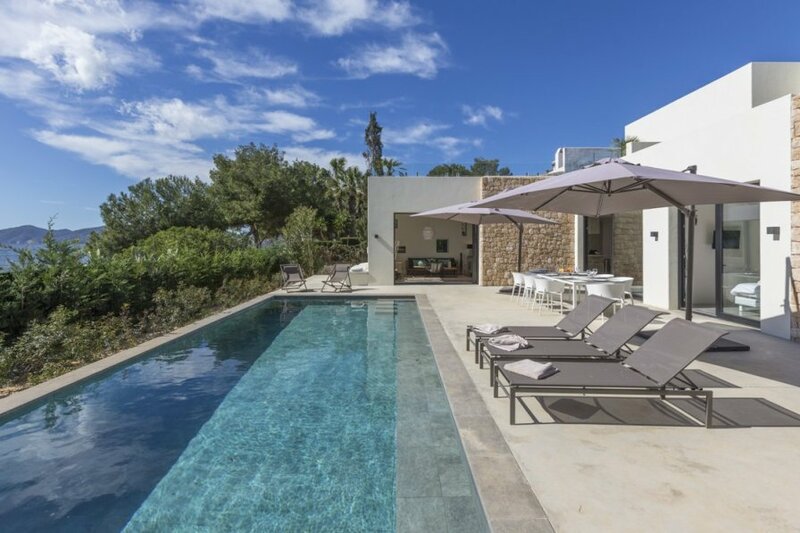 Villa Toca is an architecturally prestigious home, with sumptuous, sultry interiors, finished with panache and sleek, minimal style, nestled S'Argamassa area, between Cala Pada and Cala Martina. The outdoor spaces are designed for optimal ease and comfort: portable charcoal barbecue, outdoor shower and stunning terrace area to name a few features. The piece de resistance is the merely stunning salt water pool with in-water bench! Following the beautiful linear design of this home, the outdoor spaces are finished with elegant parasols and loungers, with beautiful hammocks. The closest supermarkets are five minutes by car, in Santa Eularia, or there is also a local supermarket in the area of S'Argamassa, just two minutes by car. The renowned Nikki Beach Club is about a ten-minute walk away, as well as several well-known restaurants in the Santa Eulalia area.